If weighing health plan options for your employees seems daunting, that’s understandable. It can be overwhelming to make sense of provider networks, deductibles, payment accounts, and a parade of acronyms. But don’t worry. By getting more familiar with the basic plan types and what they offer, you’ll have a better idea of what makes the most sense for your company. 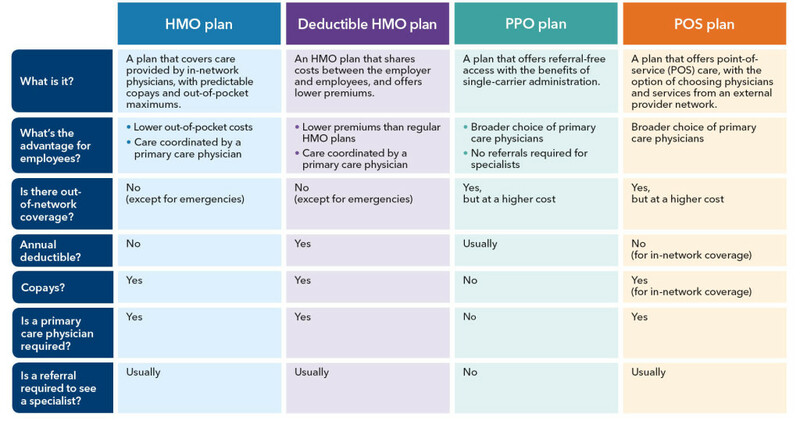 HMO, DHMO, PPO, or POS? While all health plans offer basic preventive care, it’s important to understand the key differences. Like how much your employees will pay out of pocket, whether they’ll need a referral to see a specialist, and whether they can choose doctors who are outside of the plan’s contracted network. The type of plan you choose will have an impact on your cost as well as the costs your employees will face when they need care. The following information applies to most plans within each general category. Consumer-directed health care plans help you manage costs and offer convenience and flexibility to your employees. 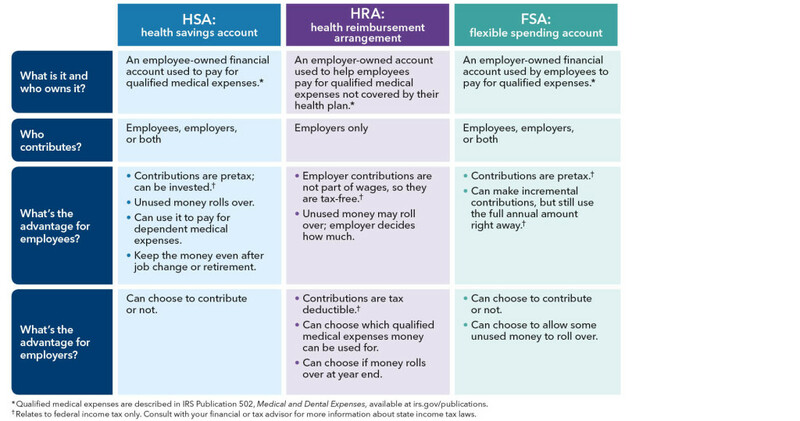 They work by pairing health plans with health payment accounts — HSA, HRA, or FSA — which your employees can use to pay for certain medical expenses. Here’s a comparison of the accounts and what they offer. The more you learn about health plans, the easier it will be to choose the option that works best for your employees and your business. 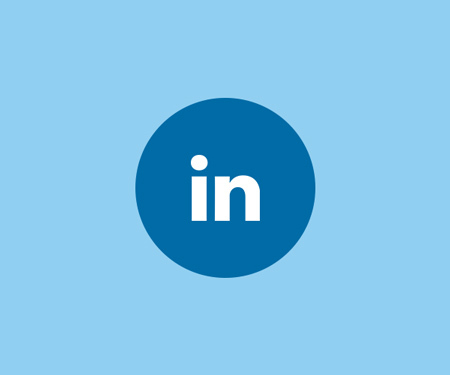 Learn more about small business plans offered by Kaiser Permanente.